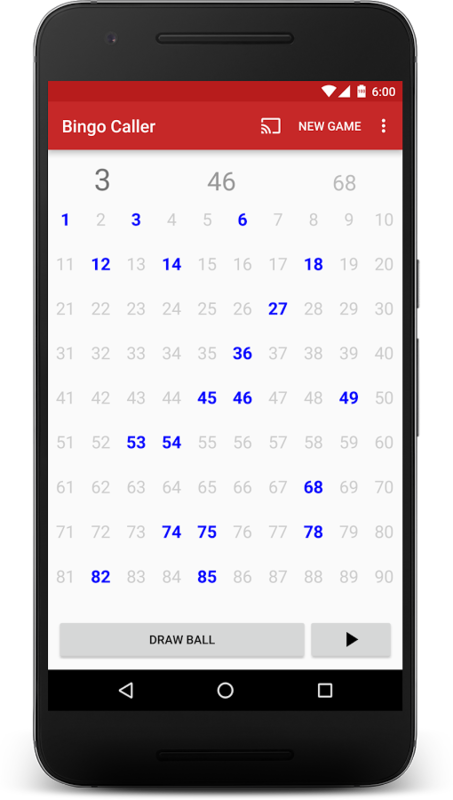 Bingo Caller is the perfect companion for your next bingo night. If no one wants to roll the ball container, just download this app and let it do the rest. 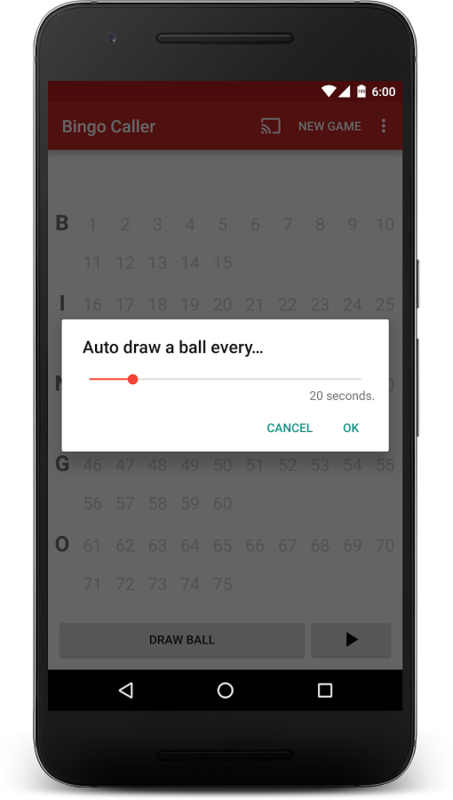 It will call the balls if you specify a time interval for balls to be called automatically and speak the called numbers through your device. Also you can check anytime all previously called balls. There are some game types as well: Choose from 30, 75, 80, and 90 ball variations. All you will need are just the bingo cards and your TV connected to a Chromecast device.